Ben Carson era um menino pobre de Detroit, desmotivado, que tirava más notas na escola. Entretanto, aos 33 anos, ele se tornou o diretor do Centro de Neurologia Pediátrica do Hospital Universitário Johns Hopkins, em Baltimore, Estados Unidos. Em 1987, o Dr. Carson alcançou renome mundial por seu desempenho na bem-sucedida separação de dois gêmeos siameses unidos pela parte posterior da cabeça - uma operação complexa e delicada que exigiu cinco meses de preparativos e 22 horas de cirurgia. Sua história, profundamente humana, descreve o papel vital que a mãe, uma senhora de pouca cultura, mas muito inteligente, desempenhou na metamorfose do filho, ajudando a tranformar um menino sem perpectivas em um dos mais respeitados neurocirurgiões do mundo. Here is the inspiring story of an inner-city kid . . .
with poor grades and little motivation, who, at age thirty-three, became director of pediatric neurosurgery at Johns Hopkins University Hospital. Gifted Hands will transplant you into the operating room to witness surgeries that made headlines around the world, and into the private mind of a compassionate, God-fearing physician who lives to help others. In 1987, Dr. Carson gained worldwide recognition for his part in the first successful separation of Siamese twins joined at the back of the head — an extremely complex and delicate operation that was five months of planning and twenty-two hours of actual surgery, involving a surgical plan that Carson helped initiate. Gifted Hands reveals a man with humility, decency, compassion, courage, and sensitivity who serves as a role model for young people (and everyone else) in need of encouragement to attempt the seemingly impossible and to excel in whatever they attempt. Dr. Carson also describes the key role that his highly intelligent though relatively uneducated mother played in his metamorphosis from an unmotivated ghetto youngster to one of the most respected neurosurgeons in the world. 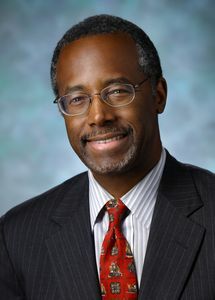 Ben Carson, M.D., is director of pediatric neurosurgery at Johns Hopkins Hospital. He encourages young people to set and meet goals by visiting schools and sharing his love for learning. He is the author of, America the Beautiful, Gifted Hands, Big Picture and Think Big and is the subject of a documentary film. Cecil (Cec) Murphey is an award-winning author or co-author of 85 books. Cec, who resides in the Atlanta area, is a three-time winner of the Author of the Year Award by the Dixie Council of authors and Journalists. He is also a winner of the Golden Medallion Award. One of Murphey's best-selling books, Gifted Hands, which he co-wrote with Dr. Ben Carson, has sold more than a million copies. The companion volume, Think Big, has sold more than 700,000.